MultiBrief: ‘Lego building’: Can modular housing disrupt the US housing market? ‘Lego building’: Can modular housing disrupt the US housing market? Daily headlines carry news of technologies "disrupting the market." One of the latest stories is that of pre-fabricated, "modular housing" and what it could do to transform the way the construction industry operates. If there was ever an industry in need of disruption, it is homebuilding. 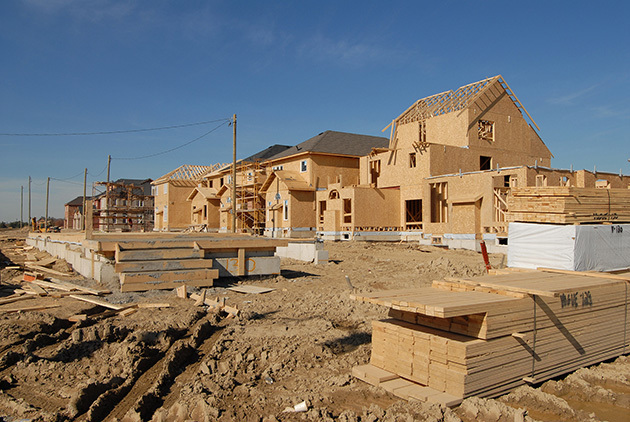 The playbook for housebuilding has changed little since the early days of human civilization. Materials are dragged to site, in a more or less high-tech fashion. We then pray for the weather to hold off, and then we fit them all together. Modular housing promises to take much of the risk and complication out of that process by performing most of the construction work in a weathertight plant. Panels are manufactured in a factory and slotted together on site, often in a matter of hours — a true "plug and play" model. Precision architecture allows designers to build highly efficient, sustainable buildings — a far cry from the flimsy boxes many of us associate with prefab. One modular housing architect said that designing these "lego houses" feels more like product design than traditional architecture. Modular housing is no novelty. It is in fact a clever rebranding of what we knew in the 1960s as the "prefabs," which have become unpopular and dogged by a reputation for drabness. But the return to the prefabricated approaches the 1960s (albeit an improved version) is no accident. Those technologies were similarly a high-tech response to crisis. In the years after the Second World War, there were huge pressures to provide homes for war veterans, with young families to house. In the U.S., startup companies have been trialing the method — creating modules in a factory that are stacked together like Legos once they arrive on site. However, there have been ups and downs. The people behind the 416 Dean Street modular skyscraper in New York sold their factory after completing, after being beset by delays and disputes before they were finally able to top out. Even so, they still insist that the future is modular. With big hitters like Amazon now investing in the sector, perhaps they are right. The politics of the industry could also be intriguing. Some have suggested that, given the difficulties of importing entire houses from factories on far-off countries, the future of modular building — despite its factory-based, high-tech nature — is likely to be as a local industry. That will be popular with politicians. Great progress in materials have made the new generation of modular housing much more sustainable and efficient. Materials like cross-laminated timber (CLT) – which is strong, rigid, durable, and actually extracts carbon from the atmosphere rather than dumping waste — have been described as "the new concrete." CLT offers the tantalising prospect of simultaneously combating the housing crisis and the environmental crisis — especially given that the construction industry contributes a good chunk of our greenhouse gas emissions. The most ardent CLT advocates have suggested we might build the Empire State Building out of wood. One of the many things modular housing has been called is the "holy grail of design." But I think that view is missing a trick. Modular housing offers much more than design freedom. In fact, it is the flexibility they offer that is the holy grail. Rather than buying at the top of your budget and growing into a house, your house can shape-shift around you. Modular concepts like the ADU (accessory dwelling unit) allow you to “add on” units in your own back yard — either as a traditional "granny" unit, to generate income through a lodger, to house a struggling graduate child, or to house a caregiver for when we get older. A very different scale of approach from ADUs are the mega-projects that are being discussed. Manufacturing powerhouse China is busy building factories in the U.K. and is planning output of 25,000 homes per year by 2022. Larger schemes can also be flexible — able to be dismantled and moved, to expand or contract, depending on changing needs. An alternative riff on this approach has been the rise of the residential shipping container. Dubbed as "cargotecture," this method is often limited to “emergency” and interim strategies – housing the homeless, victims of natural disasters, or others completely locked out of the housing market. Containers can be bought cheaply to make compact, affordable homes for those who struggle to afford to buy, and was first experimented with by the ever-pioneering Netherlands and Germany. While they need to overcome problems with insulation (steel is a good heat conductor), the fact they use up-cycled materials that would otherwise be thrown away makes them very sustainable. These container homes are now spreading from Europe to the U.S. Unsurprisingly they have popped up where there is most pressure on land and prices — in cripplingly expensive Oakland, California, as "Containertopia," and the SeaUA experiment in D.C.
Modular technologies are churning out increasingly more exciting designs, but the challenge is changing perceptions. Our perceptions of what a "home" is can be as resistant to change as conventions over how they are built. As some have pointed out the industry has not yet reached the "disruptive" tipping point, despite the hype. Prefab houses haven’t yet broken out of the pages of architectural magazines to become accepted for large-scale affordable schemes. That is likely to change. There are all kinds of opportunities to take these processes further, such as the use of robotics in these housing factories. The logical next step might be sci-fi futures like 3-D-printed houses. But the houses themselves are only half of the equation — to take this to the next level, more has to be done by municipalities to free up land to build these Lego creations on.